Physical Therapy Services: "Physical Therapists Make Life Better One Day at a Time"! 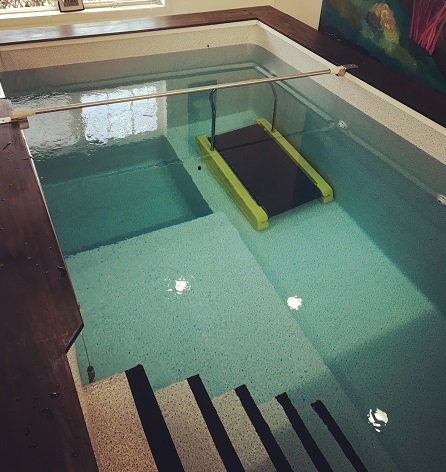 Located in our private aquatic therapy pool area, the aquatic pool also has a treadmill, easy access steps and a versatile electric hydraulic lift to assist patients in wheelchairs or with restrictions. Due to the warm water temperature and buoyancy, patients are suspended in an almost weightless state during aquatic therapy. If you are an orthopedic surgery candidate, physical therapy can be very beneficial in advance of orthopedic surgery to strengthen and stretch the support muscles around the affected joint in advance of surgery. Many patients benefit from this pre-surgical conditioning and recover more quickly during physical therapy following surgery. In advance of patients having to rely on prescription medications and surgery – physical therapy can help manage and/or alleviate pain. Whether you are an all-star athlete or novice to sports you are less likely to experience injuries if your joints and muscles are conditioned. However, a sports injury can happen when you least expect it - regardless of age, ability or physical condition. We treat athletes of all ages! Our physical therapists are highly trained and educated healthcare professionals who are qualified to help you prevent injuries or evaluate, diagnose and treat injuries. They can determine if your injury will benefit from physical therapy or refer you to an orthopedic specialist or physician. Do you experience episodes of dizziness or vertigo? Do you feel wobbly when getting up from a chair or the bed? Do you frequently lose your balance or feel lightheaded when walking? Balance and vestibular issues can lead to falls resulting in serious or potentially fatal injury. Falls account for up to 80 % of all hospital admissions in older adults. If you answered yes to one or more of the questions above our physical therapists can help diagnose and treat the condition or refer you to a physician or specialist. 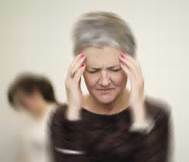 What are the most common causes of vertigo? What are the most common causes of balance disorders? Don’t become a statistic! Call today to schedule a balance & fall assessment. We also provide balance & fall prevention programs to community groups and senior centers. Our goal is to help keep you safe, healthy & help return patients to their fullest level of function. Because your employees are vital to the success of your company/organization – keeping them healthy and on the job is critical to a company’s success and survival! Our physical therapy team provide highly effective workplace injury & conditioning programs that can help expedite injured workers return to work. Low Back Pain is known to cause almost as many lost days from work as the common cold. Low back pain accounts for approximately 25% of all work related injuries and is much higher in various industries. Over 1 million workers a year are effected with low back pain. By age 65 over 80% of Americans will experience a back injury serious enough to affect their lives at work.